The first race on officially the last day of the flats, is an Apprentice Handicap in which Tangled looks the most suited. Placed off a reduced mark at Newmarket over a mile last time, and will be dangerous if he can build on that. Rossa Ryan rides for Richard Hannon who has had a fairly modest campaign. Next up, is Division I of the EBF Maiden Stakes, and Dazling Dan has leading claims based on form. Finished second to smart rivals the last twice at Leicester and HQ, and will be in the frame for success here. Owned by the Thorney Racing Partners. Division II of the EBF Maiden Stakes can go the way of Hero Hero, for the late Vichai Srivaddhanaprabha - the owner of King Power Limited. An unraced 325,000euros yearling, he is the first foal out of unraced Fancy (sire Galileo), who is also a sister to Listed-placed 1m winner. Interesting. Maid To Remember currently heads the betting for the Listed Fillies Stakes over 10 furlongs, and is the selection here. Runner up in this company latest, and looking to end six runs without victory, having won on debut. Does not want anymore rain flying over Yorkshire. Donjuan Triumphant - who made the frame in Group 1 Races at Haydock and Ascot the last twice, is a serious contender for the Listed Wentworth Stakes over 6 furlongs. Fourth in the Sprint Cup behind the Tin Man on heavy ground, as well as a great third in the Sprint Stakes on British Champions Day behind Sands of Mali, stands him in good stead, and is a major player here. Shady McCoy, who loves these big field 7f handicaps, can take the Visit marathonbet.co.uk Handicap for Ian Williams. He is usually there or thereabouts in similar contests, and was second to Muntadab at Leicester last month in a rare smaller field last time out. Birds Of Prey can provide Paul Nicholls a rare winner on the flat by landing the penultimate race - the Marathonbet November Handicap. Stuck to his task very well in his 1m4f run and a 2lb rise appears to be lenient. Has had a wind op, and be interesting to see how he has recovered. 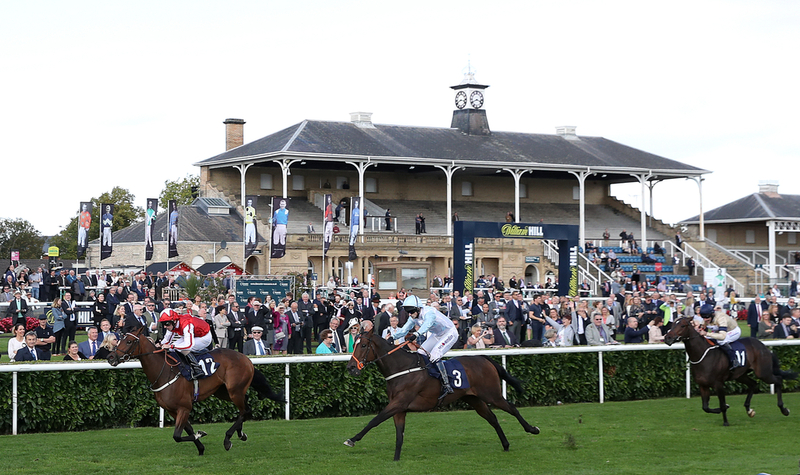 Finally, we have the Marathonbet Live Casino Nursery Handicap, and K Club, who has experience in these sort of races, can put that to good use here. Creditable third in 6f nurseries the last twice, and can go well, if not better here again. Another selection from Richard Hannon's yard, another with the Doyler on board.